A University of Wisconsin–Stout theater professor, James Miller,has come under fire after putting up a poster for the Joss Whedon sci–fi western cult classic, Firefly, on his office door. 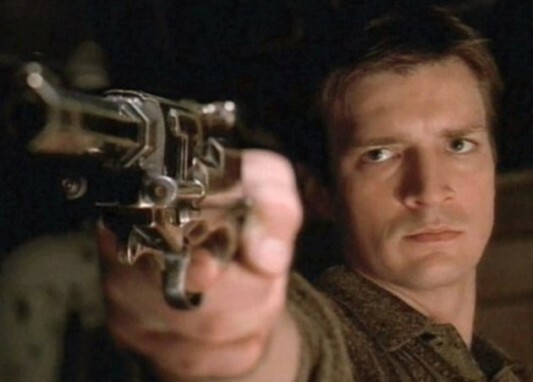 The poster (seen here) included one of Captain Malcolm Reynolds’ (Nathan Fillion) many classic quotes: “You don’t know me, son, so let me explain this to you once: If I ever kill you, you’ll be awake. You’ll be facing me. And you’ll be armed.” But apparently there’s a lot of very stupid people involved with monitoring the happenings of The University of Wisconsin–Stout, because campus police saw the poster, blindly only saw the words “kill you,” and removed it because clearly some kid was going to wander by, see it, and kill someone.